Use the Private Lightbox to keep your photos and videos extra private after shooting. 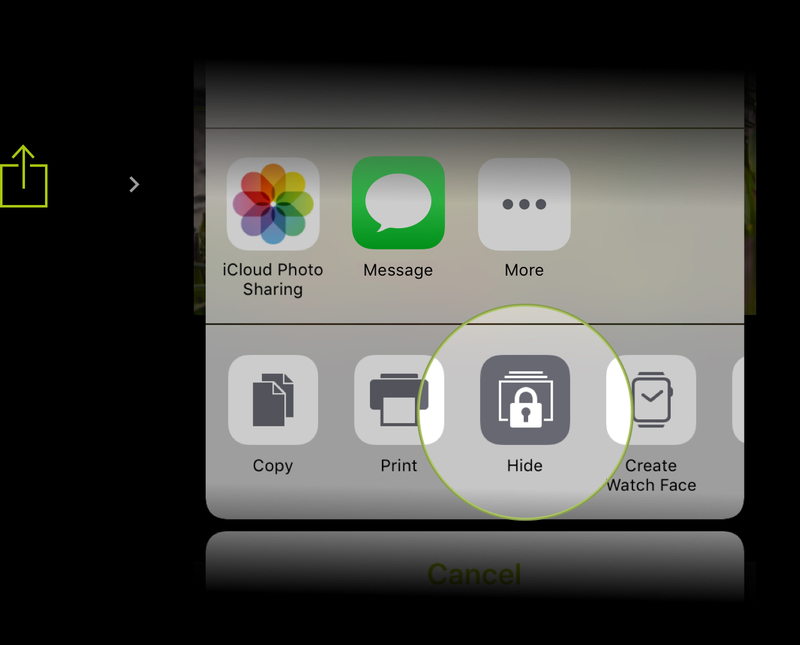 Easily access your photos and videos in this protected folder with FaceID or TouchID authentication. The Private Lightbox is specially designed for personal files. 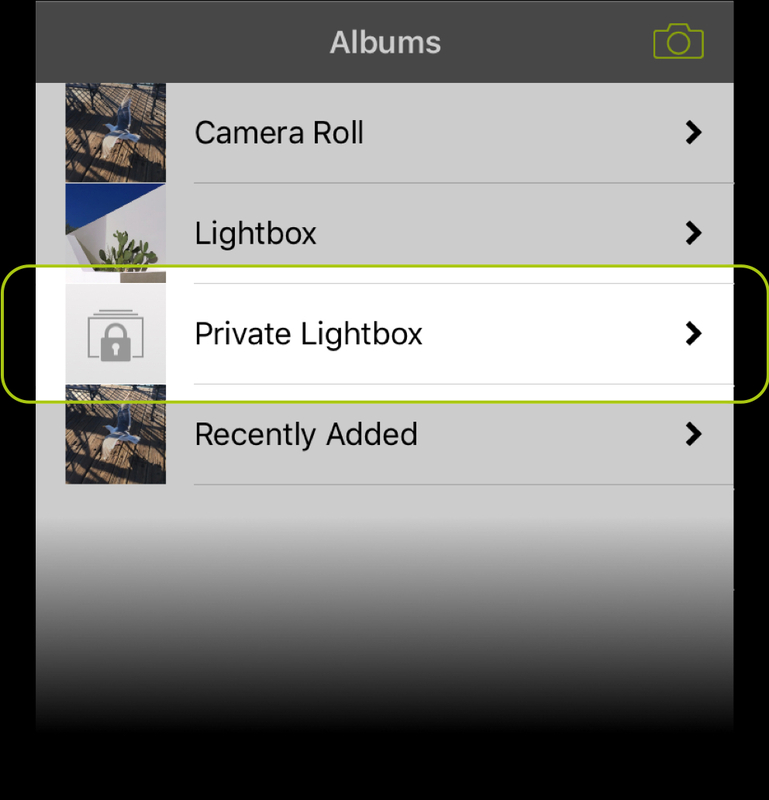 Photos and videos in the Private Lightbox will not be uploaded to the iCloud Photo Library. No other apps can access the files. Sensitive documents – Carry a digital copy of your ID card, driver's license, etc. 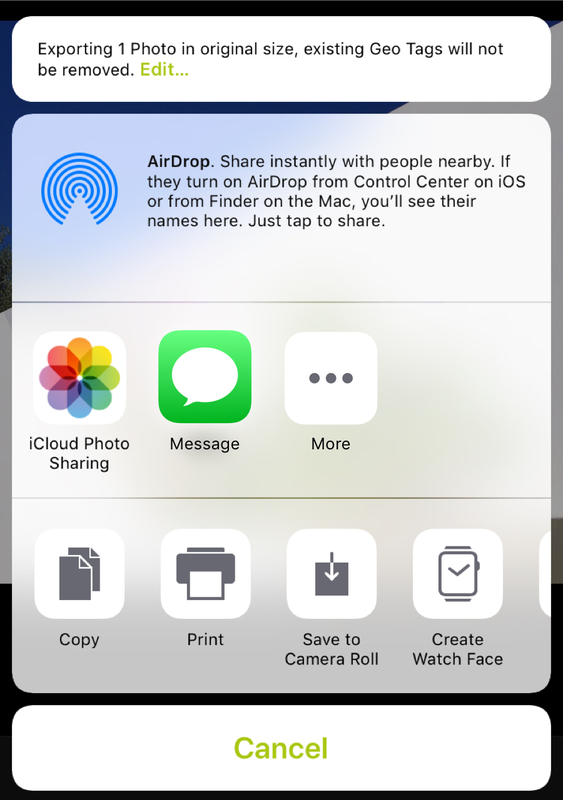 Using the iOS sharing feature, you can easily transfer photos and videos from the Camera Roll to the protected Private Lightbox. It also works for multiple files at once. After importing the file(s), a dialog will appear, which allows you to delete the duplicate file(s). Transfer photos and videos wirelessly to other macOS and iOS devices (Mac, iPhone, iPad). Send files to social media platforms, upload to cloud storages, or share via messages. Protected files can be exported to the iOS Camera Roll at any time. 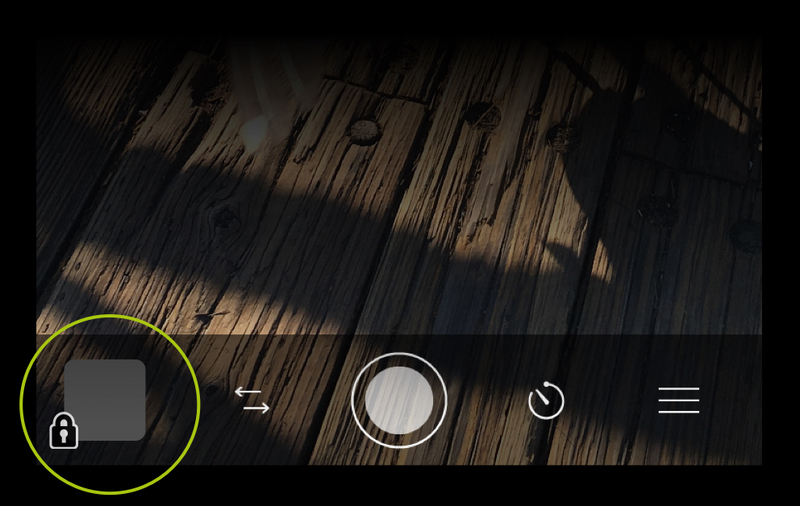 Afterwards, they will be visible in other apps – like the iOS Photos app. If enabled, exported files will be synchronized with Apple’s iCloud. If desired, the exported files can be adjusted in size, TIFF photos can be converted to JPEG, and/or existing geotags can be removed. 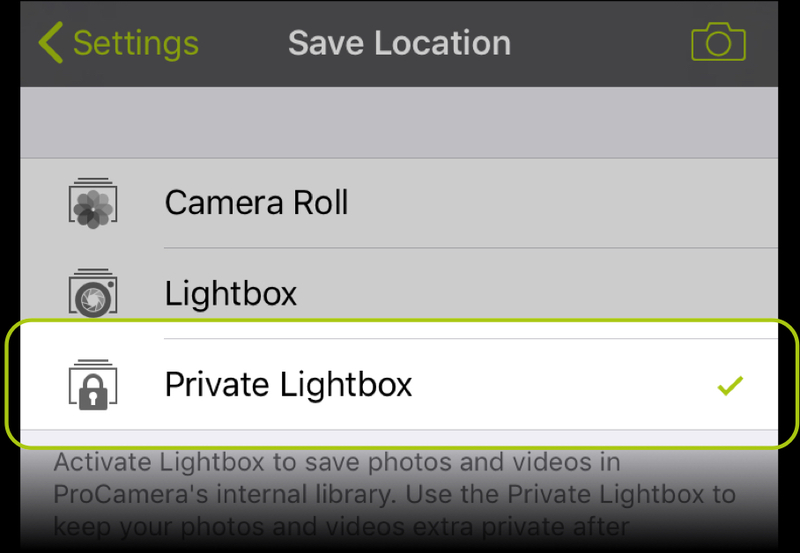 When you are using the Private Lightbox, your photos and videos will only be saved in ProCamera. If you were to delete the app at some point, you would need to export photos and videos to the Camera Roll prior to doing so. Otherwise, those photos and videos would be lost.